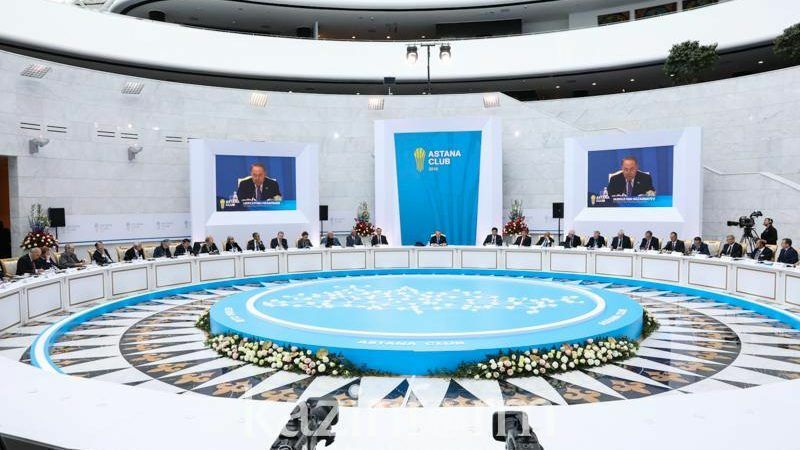 Nazarbayev spoke at a meeting of the so-called Astana Club, a platform to debate public issues based on Chatham House rules, which kicked off its fourth annual meeting in the Kazakh capital on Monday (12 November). The Kazakh leader said the world was getting closer to repeating the Cuban missile crisis scenario, referring to the recent advancement of the NATO forces and deployment of new bases and military infrastructure closer to Russian borders. Speaking at the Europe-Asia ASEM summit last month in Brussels, Nazarbayev had made the same comparison between the current tensions and the 1962 Cuban missile crisis, the times when the world was the closest to a nuclear war. On that occasion, he proposed Astana as the platform for a meeting between the leaders of the US, Russia, China and the EU. Kazakhstan has good relations with all major world players and a track record of organising conferences to promote peace and disarmament. This time, however, Nazabayev referred to the OSCE format, the world’s largest security-oriented intergovernmental organisation, in which Russia and the USA participate. From 35 members in 1975, it has grown to 57 at present, including Kazakhstan (since 1992). The predecessor of OSCE, the Conference on Security and Cooperation in Europe (CSCE) in 1975 produced the Helsinki Final Act, which greatly improved East-West relations during the Cold War. In December 2010, Astana successfully hosted an OSCE summit during the country’s chairmanship of this organisation. Nazarbayev made reference to this experience, suggesting that the conference could produce a new agreement and “update” the Helsinki Final Act. “We understand that coming to a new agreement will not be easy. It is rational to start preparing for final negotiations already in 2019,” said Nazarbayev, as quoted by the Astana Times. “Kazakhstan is ready to initiate this event, as we organised the first OSCE summit in this century in Astana. As usual, many things will depend on the position of great powers. In this regard, I would like to call on the big states to join efforts to reach a new agreement,” he said. Nazarbayev underlined the need to build a trust-based dialogue between nuclear powers and step up negotiations to decrease nuclear arsenals and create nuclear-weapon-free zones. The Kazakh leader also said he believed Asia needs its own collective security organisation. “It is a matter of time. The Kazakh initiative of the Conference on Interaction and Confidence-Building Measures in Asia (CICA) that currently includes 30 countries in the Asian continent may serve as the foundation for future security and cooperation organisation in Asia. To this purpose, as the first step, I suggest organising a joint consultative meeting of the OSCE, CICA and ASEAN (Association of South East Asian Nations) regional forum on security,” he said. Nazarbayev highlighted the importance of organising a Eurasian security conference, similar to the Munich Security Conference, which has been held in Germany since 1963. 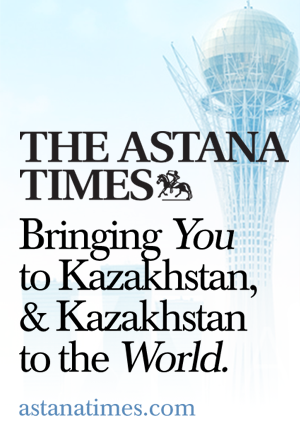 The Astana Club conference was attended by a number of international personalities, including the EU Special Representative for Central Asia at European External Action Service, Peter Burian, former Commission chief José Manuel Barroso and former EU Commissioner for external relations Benita Ferrero-Waldner.